Throw in an estimated 3.7 billion passengers for 2016 … and you've got a seriously busy aviation year ahead. Fuel prices: Record profits to continue? Most airlines are already having a happy new year as they rake in massive profits thanks to ultra-low fuel prices. In the United States last July through September, domestic airlines reported profits of $9.3 billion, according to US government statistics. And, yep, that's after taxes. Globally, profits are "unprecedented" said Chris Sloan, founder and president of AirwaysNews.com. The number of miles airlines sell per seat are actually down — especially on routes with premium long distance destinations in Asia and South America, Sloan said.Will airlines pass some of these profits to consumers by lowering fares? Aviation consultant Shukor Yusof of Malaysia-based Endau Analytics said there's no incentive "for airlines to reduce fares because of low oil prices because they're doing well and the demand is there." However, low fuel costs do allow legacy airlines like American and Delta to directly take on ultra low-cost carriers like Spirit, Sloan said, "resulting in downward pressure on fares." The average round-trip fare (without surcharges and taxes), according to the International Air Transport Association, is projected to be $375 in 2016. That's 61 percent lower than it was in 1995, adjusted for inflation. American Airlines' new frequent flyer rules take effect in 2016. More seats with extra legroom are coming to more US domestic carriers. But you'll have to pay for it. Alaska Airlines plans to add more seats with extra legroom on 60 of its airliners in 2016. American Airlines says it'll debut more seats with legroom in a special section called "Premium Economy" on international flights. The trend toward linking frequent flier perks to how much money you spend — rather than how many miles you have — continues in 2016. 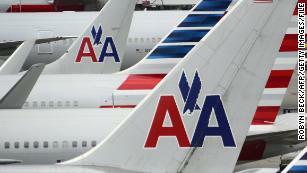 The next airline to adopt the policy is American Airlines. Beginning in the "second half of 2016 … award miles for travel on American marketed flights will be calculated based on what you pay for your ticket," its website says. AirlineRatings.com named the best low-cost airline for the new year in each region of the globe. In the Asia Pacific, the winner was Scoot. In North and South America, it was Virgin America. South Africa's Kulula.com won for Africa and the Middle East. Norwegian got the nod in Europe. This is the year the Commercial Aircraft Corporation of China, COMAC, takes to the air with its C919 in its bid to compete with Boeing and Airbus. It's one of the largest production airliners ever designed and manufactured in China. The new plane is expected to take flight for the first time in 2016. Boeing and Airbus shouldn't be worried in the near term, say analysts. But as China's air travel market explodes in coming decades, 2016 might be looked at as the year COMAC made its first big move as global player. Air France will retire its entire fleet of 747s in January 2016, after flying jumbo jets for 46 years, striking an emotional blow to aviation enthusiasts everywhere. "It's with great sadness that the reign of the 'Queen of the Skies' is coming to an accelerated end," said airline analyst Sylvester Pittman of airlineguys.com. "Many other airlines, including Delta, have announced the retirement of this iconic aircraft." The Jumbos are getting edged out by more efficient wide-body airliners that burn less fuel while flying long distances. 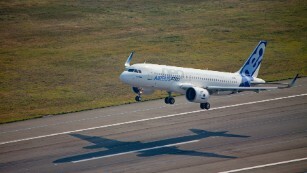 The super-efficient Airbus A320neo is expected to begin service in 2016. Qatar Airways was supposed to be the first airline to fly Airbus's super-efficient single-aisle A320neo, but in a last minute switch-a-roo, Airbus told Dow Jones Business News it'll be Germany's Lufthansa instead. The plane — which burns 15-20% less fuel than existing models — is expected to enter service for the first time in early 2016. In aviation, the uber-advanced Airbus A350XWB family of airliners is kind of a rock star. So much so, Airbus sent one on a festive tour of North and South America last summer to show it off. Other than its sleek swept-back wings and curly wingtips, it's the overall engineering. More than half of the plane is made of strong, lightweight carbon fiber composite, instead of traditional aluminum. The plane is so efficient that — with only two engines — it flies many routes that used to be reserved for older four-engine airliners. In 2016, the A350 begins its first regular service in the United States, as Qatar Airways starts its route linking Doha with Philadelphia. 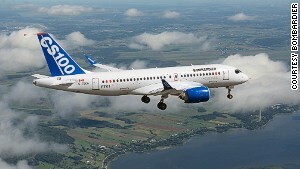 Bombardier calls its CSeries "the first all-new single-aisle plane in 30 years"
Bombardier calls it "the first all-new single-aisle plane in 30 years." After many delays, the Canadian plane manufacturer is finally expected to deliver its first CSeries aircraft — the CS100 — to Swiss International Air Lines in 2016. It's smaller than a Boeing 737 or Airbus A320, but larger than a regional jet. "It has struggled mightily to get sales, and Bombardier has found itself in financial trouble trying to support it," said aviation/travel analyst Brett Snyder. "But the aircraft's performance looks to be solid, and there's the potential for a rumored order from United on the horizon." It's kind of like a 737 … to the max! Thanks to sophisticated CFM International LEAP-1B engines, this plane is 40 percent quieter and 20 percent more fuel efficient than its namesake. "Its wing shape and engine positions smoothly direct air into and around the engine, providing additional efficiency," said David Parker Brown, founder of airlinereporter.com. The first 737Max rolled off the factory line in Renton, Washington, on December 9. Boeing test pilots are expected to fly it for the first time early in the new year. Delivery is expected to the 737MAX's first customer, Southwest Airlines, in 2017 — half a century after the original 737. Electronic beacons sense when your smartphone enters an airport. Then the beacons send you messages to guide you to nearby places, like restaurants and airline gates. More airports and airlines will start using these kinds of apps in 2016. One global survey reports 81 percent of airports plan to invest in beacons and other sensors in the next three years. Sorry, but this won't be the year when the new Brandenburg airport opens in Berlin. The ambitious project was originally supposed to open in 2011. Delays have been blamed on construction problems. Oh well, maybe in 2017. The first major steps toward rebuilding of the ancient and much-maligned LaGuardia Airport are set to begin in 2016 — a $4 billion project that will last four to five years. Airlines now using the airport's four terminals eventually will share a giant, modern unified terminal with convenient connections to ground transit. "LaGuardia is always working at capacity, so any extra 'ingredient' to the LaGuardia 'soup' creates delays," said aviation analyst Phil Derner, of NYCAvation.com. "I don't think it will create air-traffic delays so much, but there will be delays for passengers during the transition." At Newark Liberty International Airport, United Airlines' Terminal C is getting a huge, $120 million makeover. Get this: they've promised to have an iPad stationed at every seat at 55 different eateries spread across the terminal's 100,000-square-foot space. It's set to open in 2016. At LAX, a new building connecting domestic terminals with the airport's international terminal is set for completion in 2016. This will eliminate the hassle of walking outside or riding a shuttle to change planes from domestic flights to flights in the international terminal. 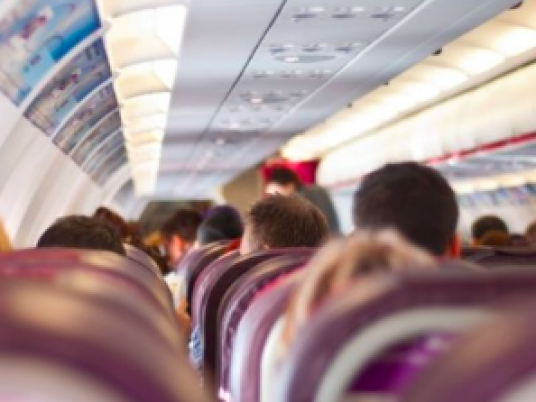 It'll also let domestic passengers connect to international flights without having to suffer going through security lines again. Rio de Janeiro's Galeao airport is gearing up for the 2016 Olympics in August. The airport is putting up a new building for arrivals and departures, along with 26 new jet bridges and dozens of new passenger check-in desks. Low cost airline Vietjet Air is expected to become increasingly aggressive in opening new markets in Vietnam, which aren't serviced by legacy carriers, said analyst Yusof. Havana and Washington have restored direct, regularly scheduled commercial flights between the United States and Cuba for the first time in more than half a century. Assuming aviation regulators can work out the details, a flood of tourism from the states is expected in 2016. 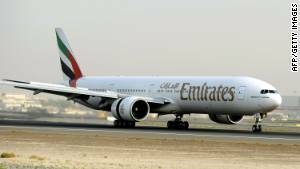 Emirates plans to begin flying the world's longest nonstop route in 2016 — more than 17 hours between Dubai and Panama. Could you handle spending 12 hours-plus in a plane? Airlines are adding more ultra-longhaul nonstop routes in 2016. United plans two of these from San Francisco International Airport: one to Xi'an, China (lasting more than 12 hours) and the other to Tel Aviv, Israel, lasting more than 14 hours. Both flights will use 787 Dreamliners. Emirates is getting the most attention for its nonstop linking Dubai and Panama City, Panama. When this Boeing 777-200LR flight starts in February, it will be the longest nonstop flight in the world: 17 hours, 35 minutes across 13,800 kilometers (8,580 miles). 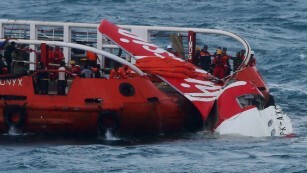 Aviation regulators in Southeast Asia are concerned following the investigation report of AirAsia Flight 8501 and the downgrading of Thailand's safety rating for its entire aviation system. Officials will be spending much of 2016 inspecting all of Indonesia's Airbus A320 airliners — same as Flight 8501 — looking for a technical glitch partially blamed for the 2014 crash that killed all 162 people aboard. The nation also will require all airlines to increase pilot training as a result of the crash. "I'd like to see them in 2016 pay more attention to safety and engage perhaps with the likes of Americans or Europeans to come help them with their infrastructure and to overhaul their aviation systems in terms of air traffic and maintenance and the whole mechanics of it," said aviation consultant Yusof. Regionally, he said, there's "more urgency" now to create a single Southeast Asian safety framework, because many more airplanes are crossing between national air control zones. 2014's AirAsia crash will continue to affect travel in 2016. A huge national overhaul of virtually all safety rules and procedures is expected to last into August. It all started in 2015, when the United Nations' International Civil Aviation Organization (ICAO) "red flagged" Thailand. An audit raised questions about the nation's airline safety oversight. Next, South Korea, China and Japan placed restrictions on new Thai flights. Then Singapore, Australia and the EU ordered enhanced inspections. And then, the U.S. FAA downgraded Thailand's safety rating. Whether you call them drones or UAVs — these tiny unmanned aerial vehicles keep getting in the way of U.S. airliners. Government regulators are still trying to get a handle on the problem. In 2016, the FAA is expected to release new rules for an estimated hundreds of thousands of drone operators. These will be aimed preventing drones from crashing into commercial airplanes or being sucked into their jet engines and triggering a disaster. Remember after the 2014 disappearance of Malaysia Airlines Flight 370, when everyone was talking about better ways to track airliners across oceans? Back then, the ICAO was expected in 2016 to adopt an airline standard for tracking planes by satellite. But if an industry working group has its way, that standard will be put on hold for up to two years to consider unexpected circumstances surrounding the tracking technology.